Over 90 students at Dormers Wells High School enjoyed an interactive careers day last week, which was organised by Ealing Council’s Connexions team. The event gave pupils the chance to discover possible future roles in the construction industry. Berkeley, which is delivering the 88-acre Southall Waterside development, gave a series of one-hour talks. These provided the 15- and 16-year olds with an overview of the regeneration of the redundant gas works site, including the homes, entertainment and leisure facilities which will be delivered alongside new parkland and green spaces as part of the completed development. Students were able to learn and ask questions about the different career opportunities in the construction industry and routes available to them, including apprenticeships. Berkeley recently launched the West London Construction Academy at Southall Waterside in partnership with West London College, which also attended the school careers day. The West London Construction Academy, onsite at Southall Waterside, provides apprenticeships that allow students to gain on-the-job experience alongside classroom and online learning – bridging the skills gap for the long-term and allowing students to earn as they learn. To give the school pupils a taste of what this would be like, they participated in a ‘Go Bridge’ challenge. This tasked them with constructing a bridge using just paper and paperclips – a hands-on teambuilding exercise that encouraged them to think outside the box. Roisin Walsh, Headteacher of Dormers Wells High School, said: “Young people often don’t know what they would like to do after they leave school and we encourage our students to explore all their options. Damian Leydon, operations director at Berkeley West Thames, said: “We are committed to investing in the local community and inspiring the next generation. e industry such as bricklaying, plastering, drylining and carpentry. These are open to anyone aged 16 and above. This means that apprentices graduating from the academy will be given the best chance of securing employment at the end of their courses – putting their skills to use straight away. 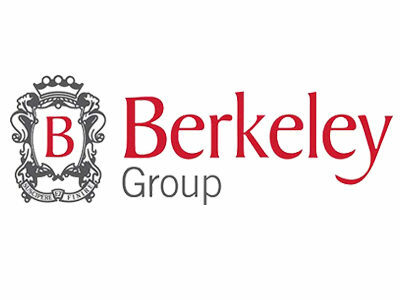 A number of positions will be available with Berkeley and its supply chain at Southall Waterside itself. Southall Waterside is taking part in Open Doors which allows people to visit the site and see the scale of regeneration on 21-23 March 2019. The development will bring a host of wider benefits to Southall and its local economy with 21,000 full-time equivalent (FTE) jobs created, 600 of which will be permanent.